You want spectacular views? You have found them with this lovely home! This Monument home is perfectly located to take advantage of front range views from Palmer Lake to the Air Force Academy and beyond. Wonderful upgrades on the main level include acacia hardwood floors, stainless steel appliances, granite counters, tile backsplash, 42' cabinets and tile surround fireplace. The upper level features new carpeting, new master bath tile floors, new frameless glass shower and newly tiled bathtub. The upper loft area is a wonderful area that can be used for many purposes. Walk out to the stamped concrete patio and experience the awesome views. The patio includes a fire pit and attached grill to enjoy while you entertain guests. Fully fenced backyard with planting beds perfect for flowers and/or vegetable gardens. 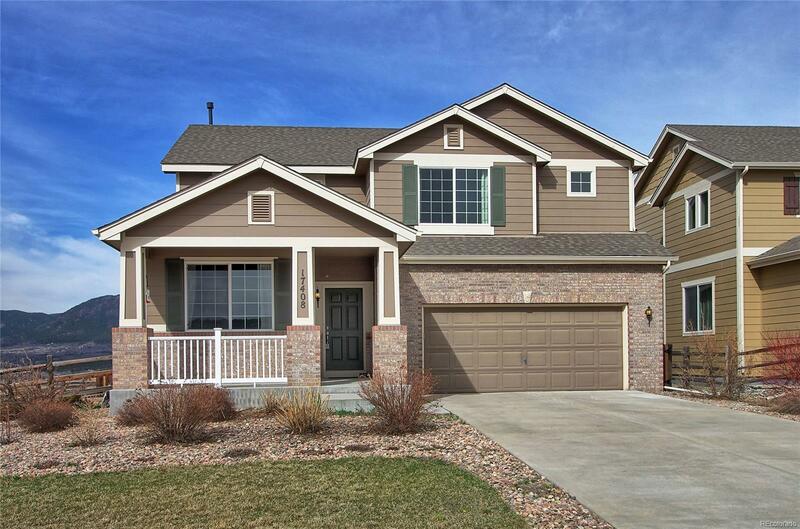 Close to shopping, schools, hiking/biking trails and it has easy access to I-25 for a commute to Denver, Colorado Springs and military bases. You will love the home and the views!